Yelle in concert. 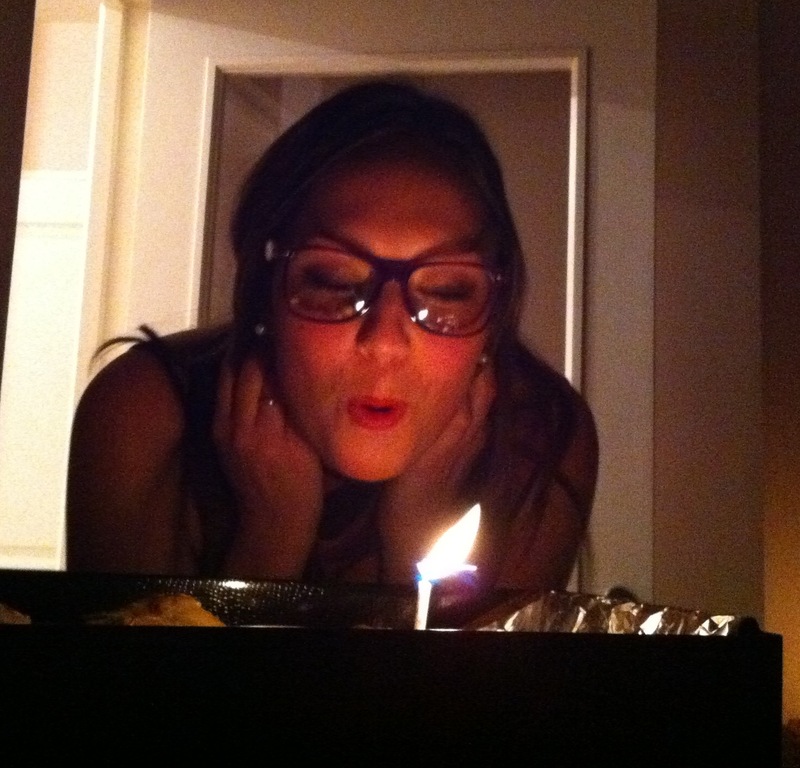 A surprise birthday celebration in the form of a Sunday afternoon tea party. 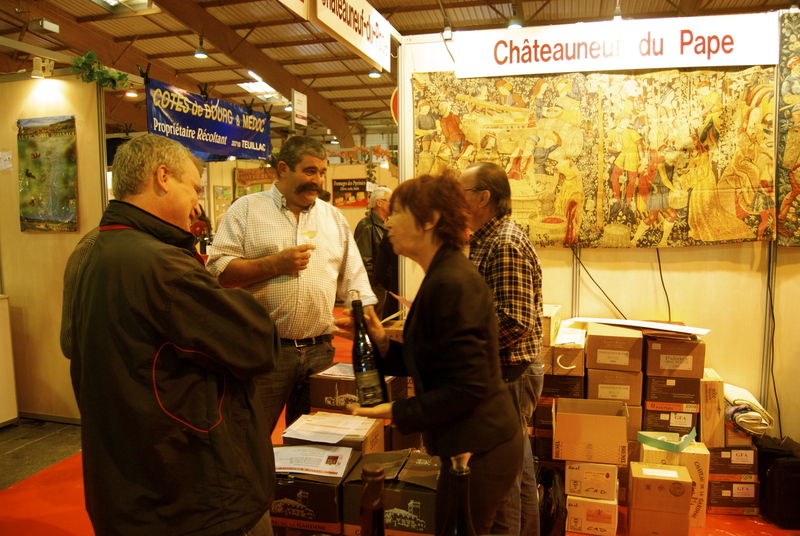 Food and wine expo featuring the crème de la crème of French producers. Birthday presents. Halloween party. And now I need to detox…. (yeah, right). 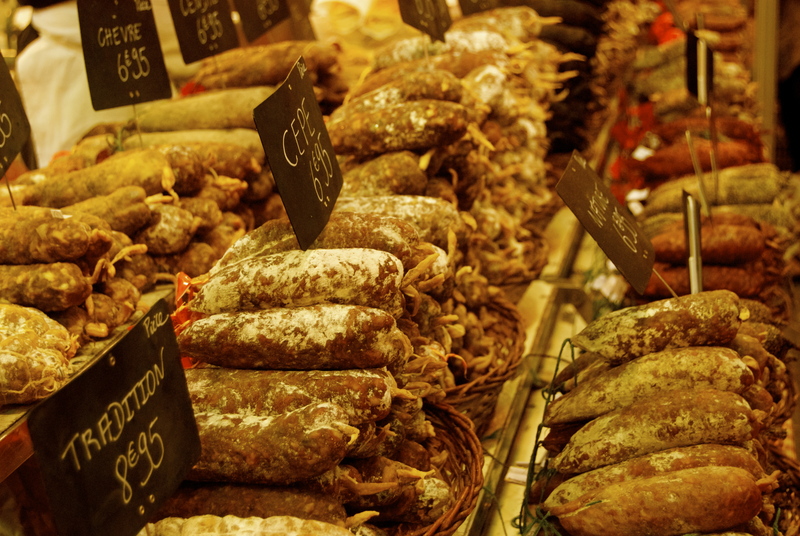 I got back from Bordeaux the middle of last week, content but tired out. Knowing that I had a big weekend coming up I had planned to be responsible and stay in and lesson plan. That didn’t happen…I’ve been taking this whole on vacation thing a bit too seriously I think. Tomorrow is my last day of the holiday, so I guess I’ll be doing a lot of lesson planning tomorrow! But it was totally worth it to scrimp on work for the festivities of the weekend. We kicked the weekend off with a Yelle concert. If you’re not familiar with her music you can check it out here. She makes fun, French pop songs with silly lyrics that really make you want to dance. She was adorable on stage, and her voice sounded great live. Her energy was infectious. She had the whole crowd jumping and yelling and shaking their tail feathers (with the exception of the girl standing directly in front of me who was eerily still throughout the entire affair, which just made me want to dance more of course). If ever you get the chance to see Yelle live, do it! The next day was a lazy day, until I was surprised with an afternoon tea party (though there wasn’t so much tea involved as there was champagne). 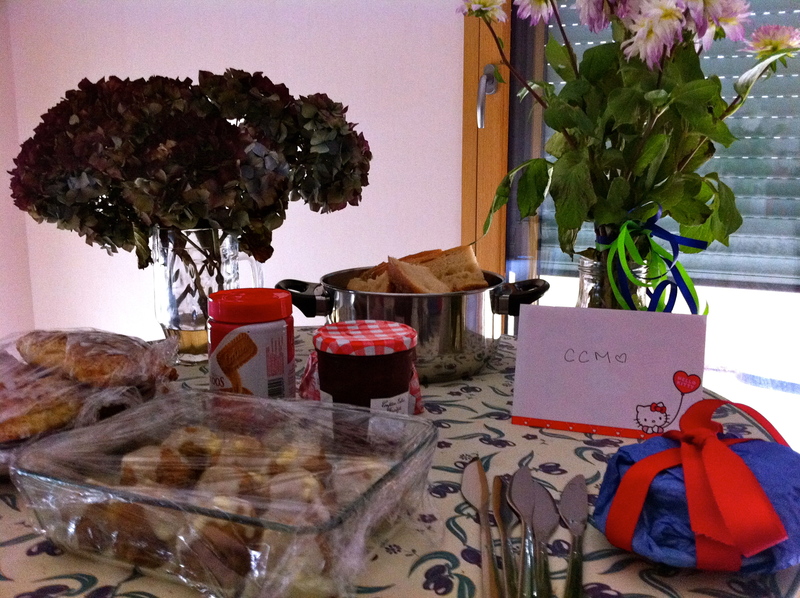 My lovely friends supplied me with mimosas, homemade scones, carrot cake (my favorite!) and tartines with speculoos and raspberry jam. We dove into all the goodies and just when I thought things couldn’t get any better they gave me the cutest most thoughtful birthday gifts. It was a perfect afternoon. Thanks les filles! 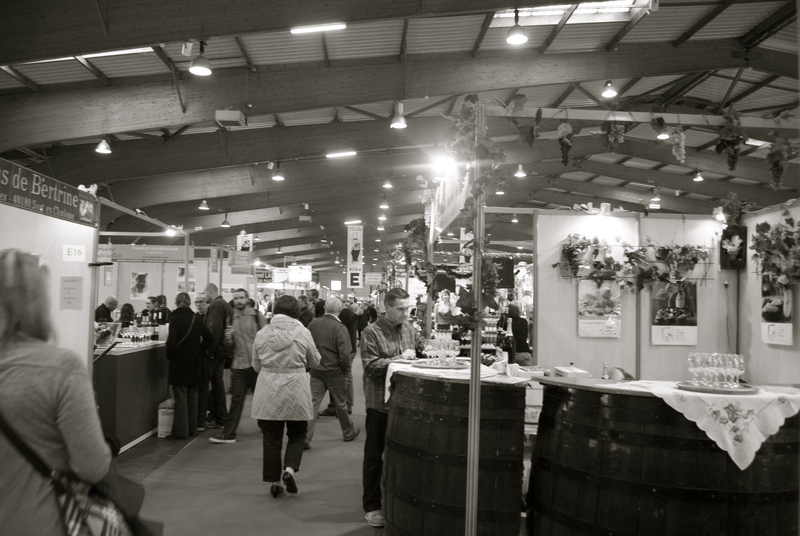 The next day (my birthday and Halloween) I couldn’t have asked for a better way to spend my birthday: wandering from stall to stall at a massive food and wine expo. 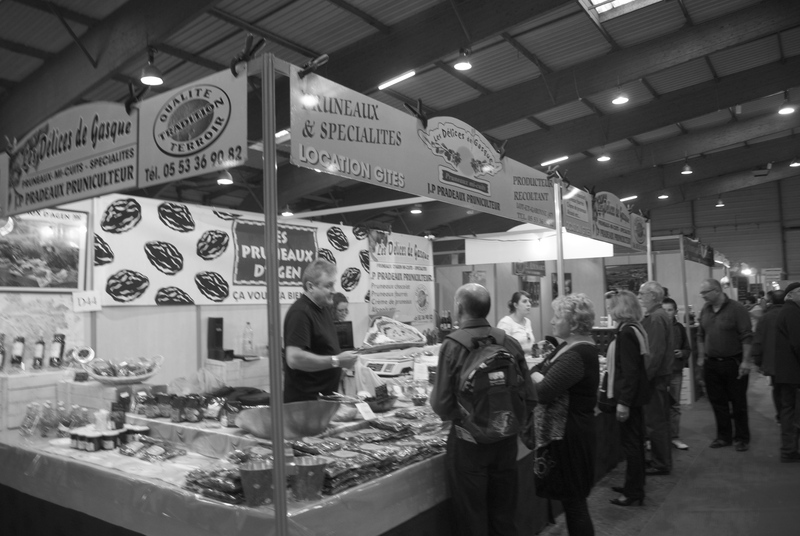 We paid 6 euro to get inside the hall, and once in we could sample from any of the vendors. 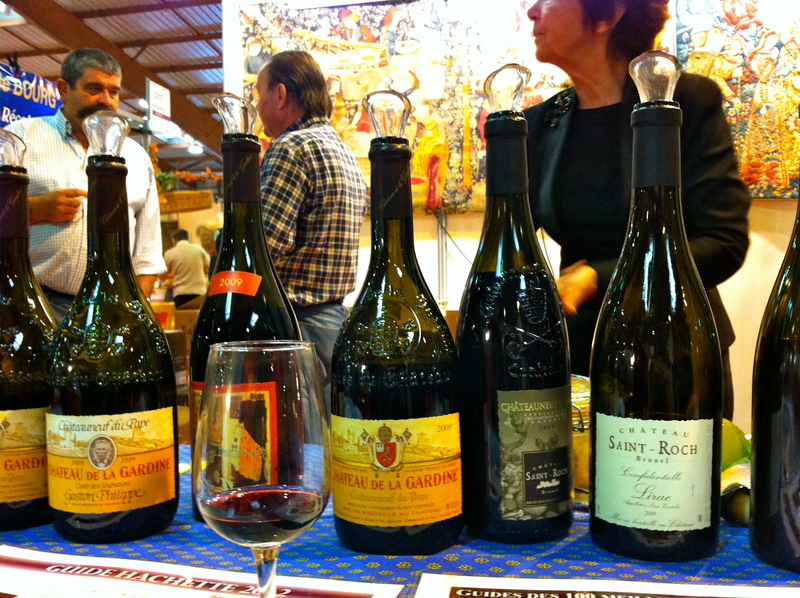 We bounced from wine stall to wine stall, tasting wines from all over France. 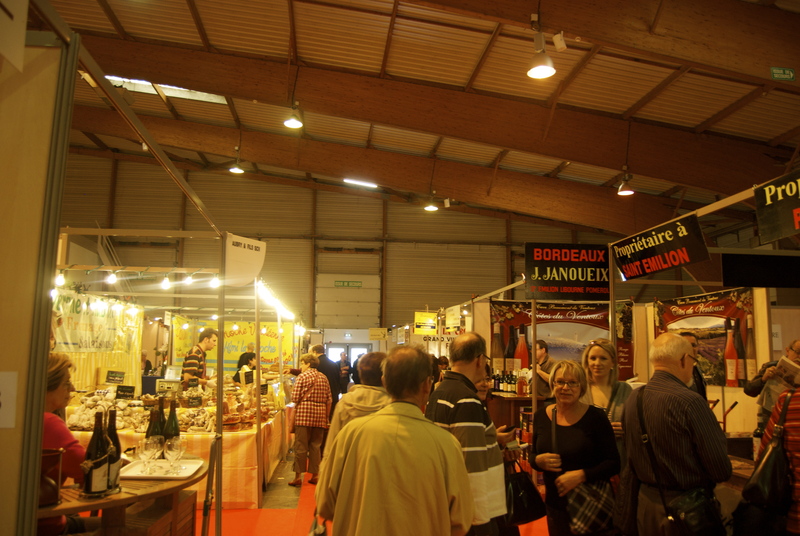 Then we would realize we were a bit too rosy from the wine and we would switch to the food stalls: sausage, foie gras, chocolate, nougat, pastries, macarons…Then back to the wine. This wondrous cycle repeated for 5 hours until we just couldn’t put another thing in our mouths and decided to escape the ever-growing mass of gourmands. After a semi-comatose afternoon I managed to recover from my food hangover to enjoy a lovely galette birthday dinner made by my boyfriend (who is a bit of a crêpe master, it must be said). 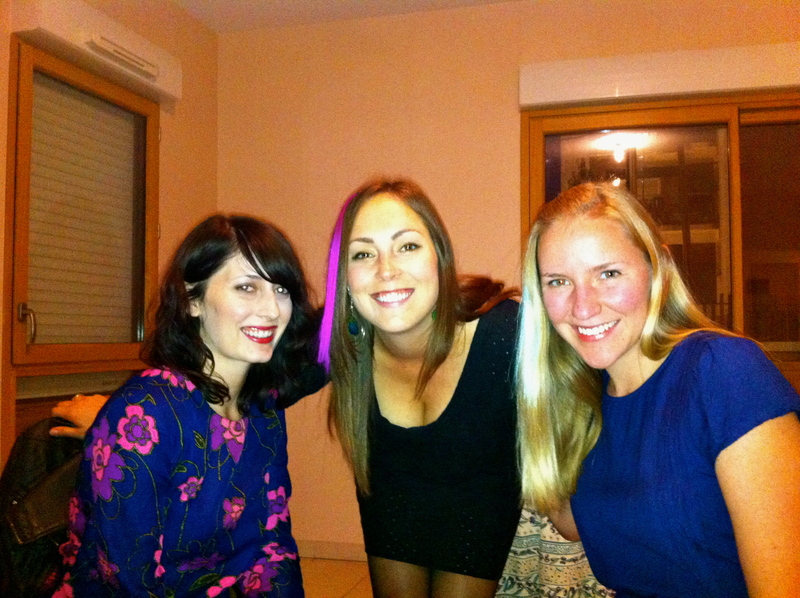 And then that night it was time for the Halloween celebrations. Every year I put off organizing my Halloween costume and this year was no exception. 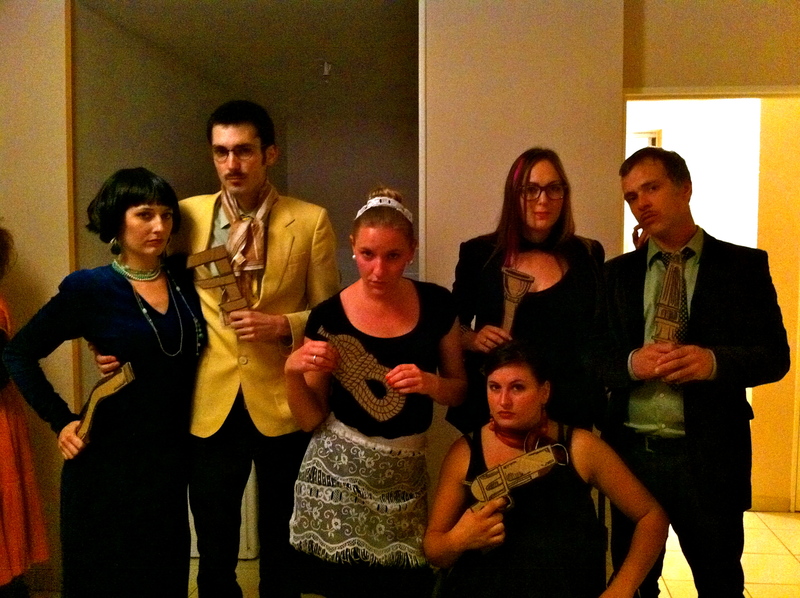 But last minute my friends and I were able to cobble together some decent costumes: we were the 6 characters from the game Clue. I was Professor Plum, who was always my favorite character in the game. Some friends had une crémaillère/soirée déguisée (housewarming/Halloween party) and while it was a small group of us, we laughed and danced the night away. *Thanks Emma for some of the photos (again)!